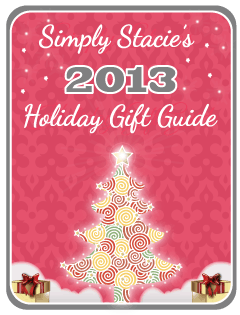 Famosa, the European toy company that also makes the popular Pinypon dolls and playsets has another wonderful gift idea for little girls ages 3 and up. The Nenuco Sleep With Me Baby Doll & Cradle (SRP $29.99) is a high quality and yet attractively priced doll set that includes everything the “Little Mommy” will need to care for her new baby doll. 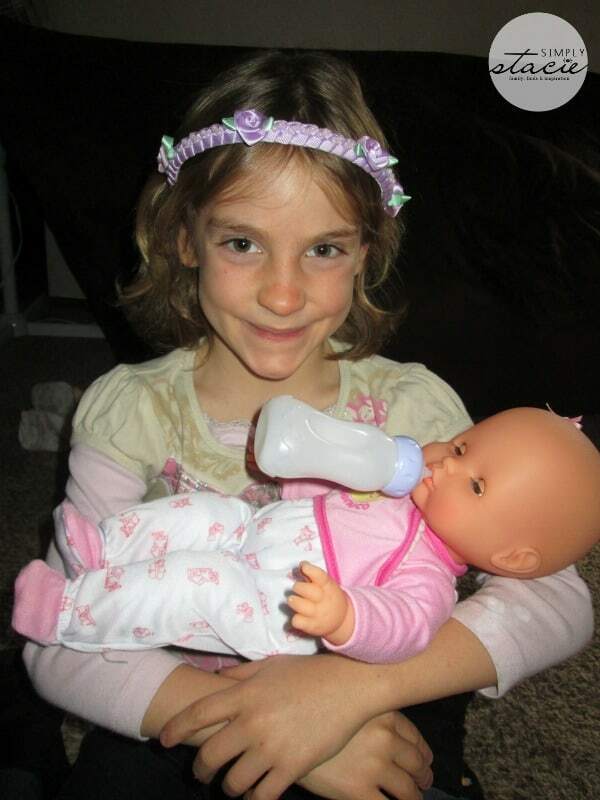 My daughter, Hannah is seven years old and has recently become very nurturing and plays with her dolls for hours at a time. She takes great care in giving love and attention to her baby dolls and therefore, I know that the Nenuco Sleep With Me Baby Doll is the perfect holiday gift idea. This playset includes an adorable and realistic looking 16.5” baby doll, a cradle, star nightlight that plays music, blanket, bottle and pacifier. What makes this set so unique and creative is that there are two ways to play with it. For example, it can be used as a stand-alone crib or my personal favorite as a crib that attaches to the bed. I co-slept with all three of my children and have fond memories of my bassinet that attached to the side of the bed. Therefore, it is so much fun for me to watch my own little girl use imaginative role playing to care for her doll in the very same way that I did for her when she was a baby only a few years ago. 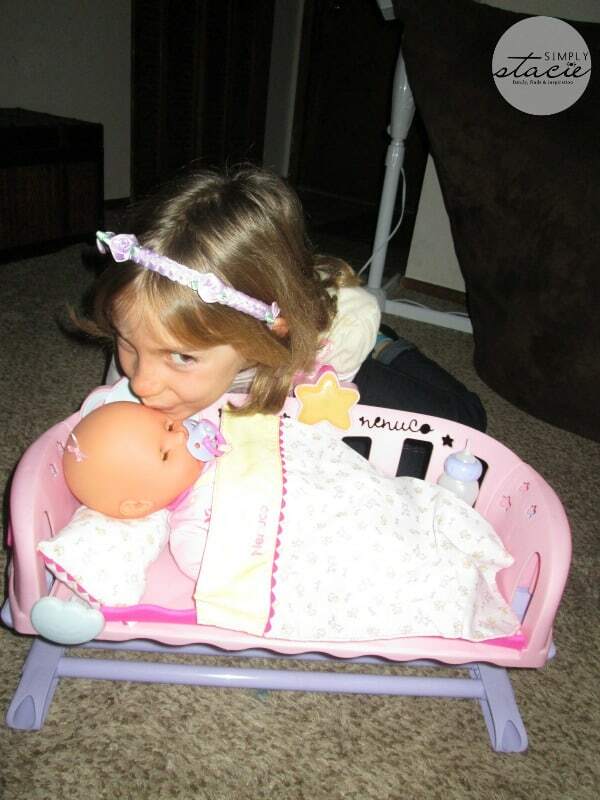 Hannah absolutely adores her sweet new doll and spends 30 minutes every night getting her baby ready for bed. 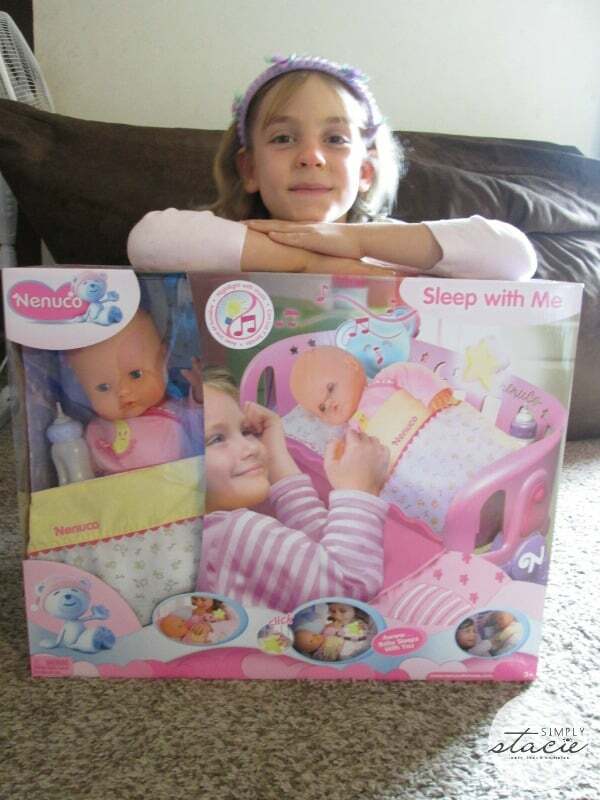 Little girls have been playing with their Nenuco dolls for over 50 years and I really like the Sleep With Me Doll playset which is a wonderful holiday gift idea. I love the attention to detail that makes this doll very life-like and endearing and all of the fun accessories are sure to provide hours of fun as the child plays with her doll. The Star Nightlight that plays music is very soothing and may help little girls who are afraid of the dark have a bit more security as they curl up at night with their Sleep With Me Doll and nightlight. The Nenuco Sleep With Me Baby Doll is available for purchase at ToysRUs and Kmart either online or you can check a store location nearest to you. If you have a little girl who loves playing with baby dolls and awesome doll accessories then I personally recommend this wonderful set! We would like to have the hairdressing set! My Bambi would love this-Nenuco – My First Nenuco Kisses. My daughter would also love the Nenuco hairdressing Set! the hair dressing doll is adorable! She would like Newborn Takes Care! my neese wouold love this! I like the Hairdressing Set. Nenuco – Nenuco hairdressing Set.